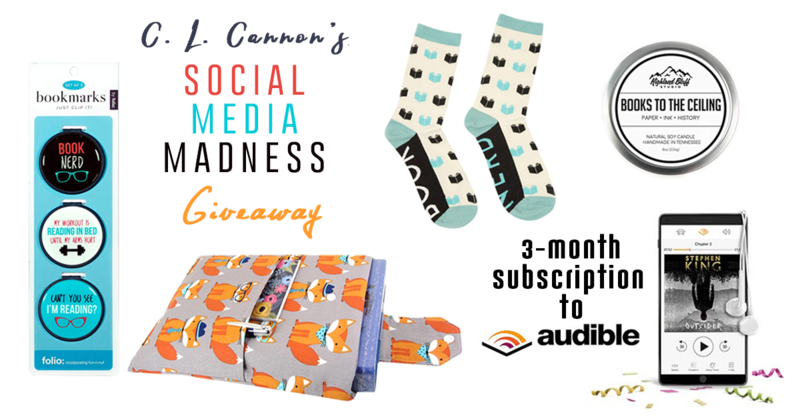 Follow some amazing authors on social media and be entered to win 3 months of Audible plus all the other book nerd goodies you see above! This entry was posted in Giveaways, Promotion and tagged amazon gift card, C.L. Cannon, contest, facebook, freebies, giveaway, instagram, money money money, rafflecopter, social media, subscriber, traffic, twitter, visitor engagement. Bookmark the permalink. ← C.L. Cannon’s March BookBub Giveaway! I love all these contests. I get to know a lot more authors.